Dusty miller is a favorite because it looks good with everything. 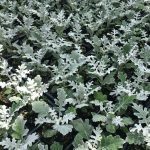 The silvery-white color is a great foil for any type of garden blossom and the fine-textured foliage creates a beautiful contrast against other plants’ green foliage. 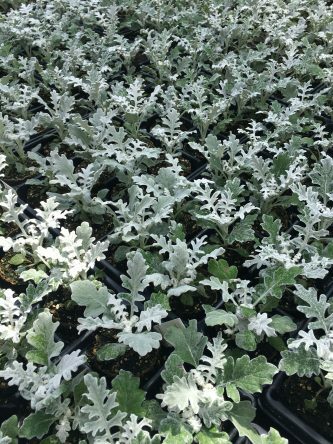 Dusty miller is easy to grow, it is also very heat and drought tolerant.